Up against Matriochka Influences (France/Independent), The Romans (UK/Mother) and TinMan (UK/Unity), Engage Joe Public (South Africa/Joe Public United) made the shortlist for “focusing on multimedia content creation that integrates well with its partner agencies within the Joe Public United Group”. Poised for 20% growth despite difficult economic conditions, SABRE has recognised Engage as a ‘new-age PR firm’ that does not have separate consumer and corporate teams, “preferring instead to reflect the convergence of traditional practice areas”. Engage is also being acknowledged for campaign highlights including work for De Beers and Kenya Tourism. Engage Joe Public also recently won Silver at the Prisms in the Financial Services & Investor Relations, for their work on Visa’s Card Security Week. 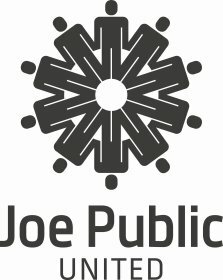 “We are a growth driven agency and these awards and accolades only serve to show that Engage Joe Public is truly delivering on their chosen purpose: to grow brand belief in our clients. The case studies they have built up over the last two years are powerful testaments to the group’s values of Creativity, Excellence, Integrity, Respect and Leadership,” added Joe Public United CEO, Gareth Leck. Winners will be announced at the EMEA SABRE Awards in Berlin on 25 May. The SABRE Awards, which recognize Superior Achievement in Branding Reputation & Engagement, now attract more than 2 000 entries from across the EMEA region each year, and provide the premier showcase for the best that public relations has to offer, celebrating winning work via our annual awards dinner (attended by 800 industry leaders last year) and via our website, with its vast library of public relations case histories. ?The pace of change in public relations and communications has never been faster than it is today. The rise of digital and social media has changed how companies engage with their key stakeholders – creating new opportunities for public relations professionals. But it has also shaken up the competitive landscape, blurring the lines between PR and marketing and forcing PR firms to compete with other disciplines, from ad agencies and digital specialists to management consulting firms. In this new environment, it is vitally important to showcase and to celebrate the best work produced by public relations firms and public relations departments, to demonstrate that PR can come up with big brand-building ideas, creative content, and strategic reputation management programmes that impact the bottom line.